LAHORE: (Thursday, June 21, 2018): Punjab University Centre for Coal Technology Director Prof Dr Shahid Munir has won a research project award titled “Investigating the Nature of Lahore Winter Smog, sources of Primary Pollutants and Mitigation Strategies” from Higher Education Commission of Pakistan under National Research Programme through competitive process. The total cost of the project is Rs. 6,447,970/-. The scientists from all over Pakistani universities of public and private sector presented their projects on the subject along with their bids. HEC’s team invited the applicants in University of Engineering & Technology Lahore to present their projects to the competitors and HEC evaluation team. The exercise continued for two days in the first week of April. 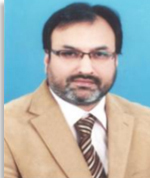 Resultantly, Prof Dr Shahid Munir a renowned scientist won the award of this research project of national importance.